If you think our Birdorable birds are cute as adults, what about when they are babies? 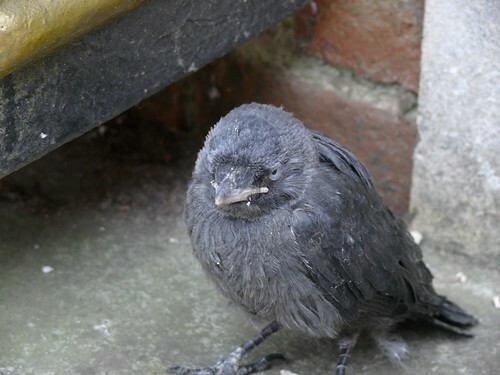 Below are some baby photos (shared via Flickr) of the Jackdaw. 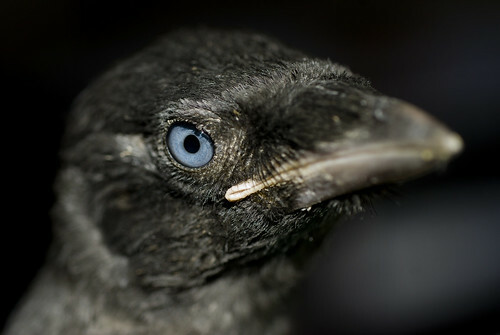 Jackdaws are part of the corvid family; they are related to crows, magpies and jays. 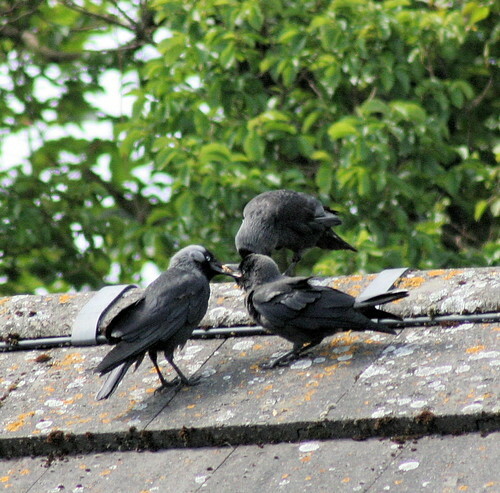 Jackdaws nest in sheltered areas, from tree cavities to chimneys to cliff-sides. 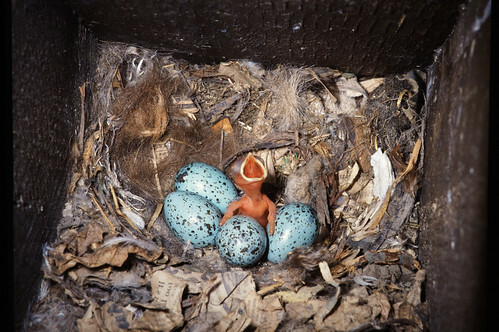 Typically 4 to 5 eggs are laid, and incubation takes about 18 days. 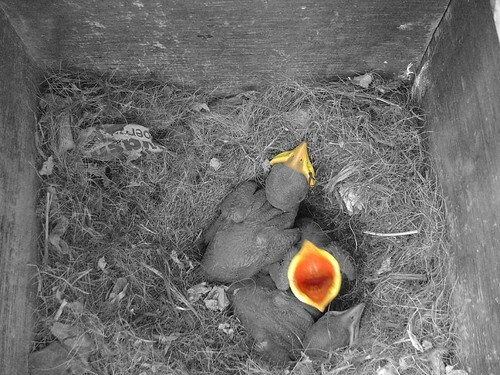 Baby Jackdaws fledge about four weeks after hatching. 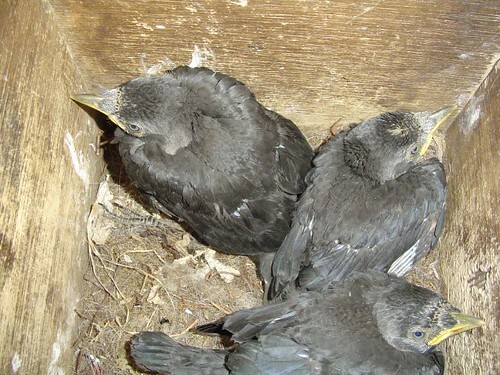 Jackdaw chick and eggs in nest box. by Patrick Clement. Pretty cute, right? 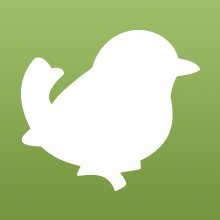 Be sure to check out our Birdorable Jackdaw t-shirts and gifts! 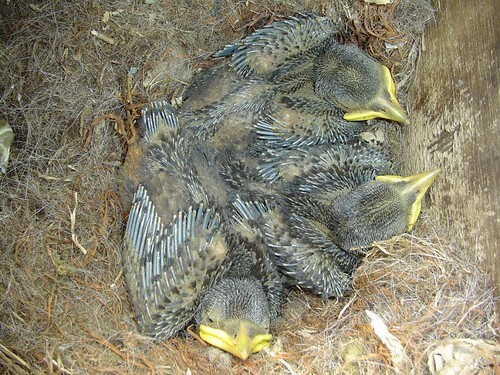 2 comments on "Baby Birdorable: Jackdaw"
I found a baby bird that looks very similar to these, I am in Queensland Australia, do these Jackdaws inhabit here. The one i found had no feathers, a broad yellow beak, it had "spikes which were the beginnings of feathers I guess, which were a dark grey to black colour. its claws were quite large considering the size of the bird. The bird was about the size of a squash ball its claws were about 5cm (2 inches) from point of front claw to point of backward claw. I called the RSPCA who advised me to take it to a Vet which i did. It seemed very much alive so hopefully it will be looked after. 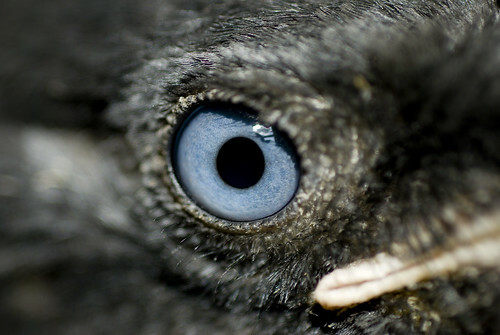 jackdaws don't live here but some sightings have been reported.5 reports in the east 2 in the west.